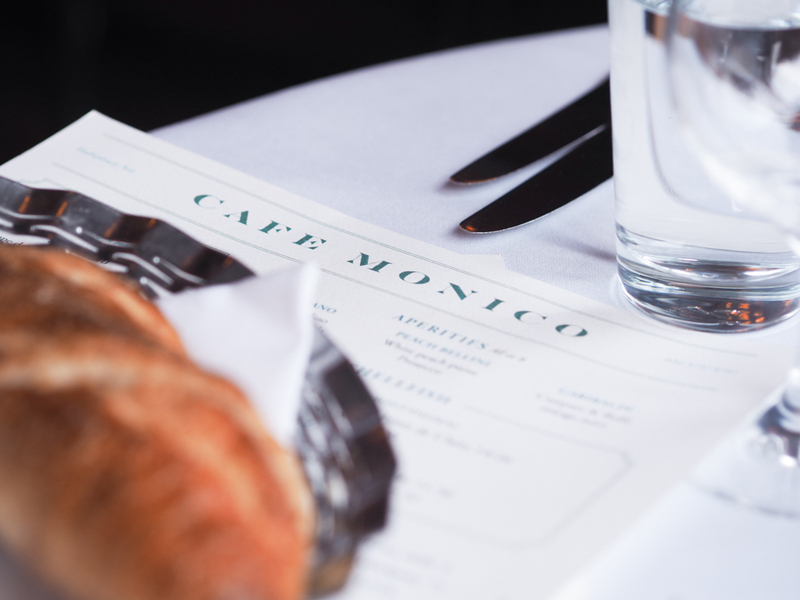 Last Thursday Josie and I visited the newly launched Cafe Monico on Shaftesbury Avenue, in the heart of the West End. 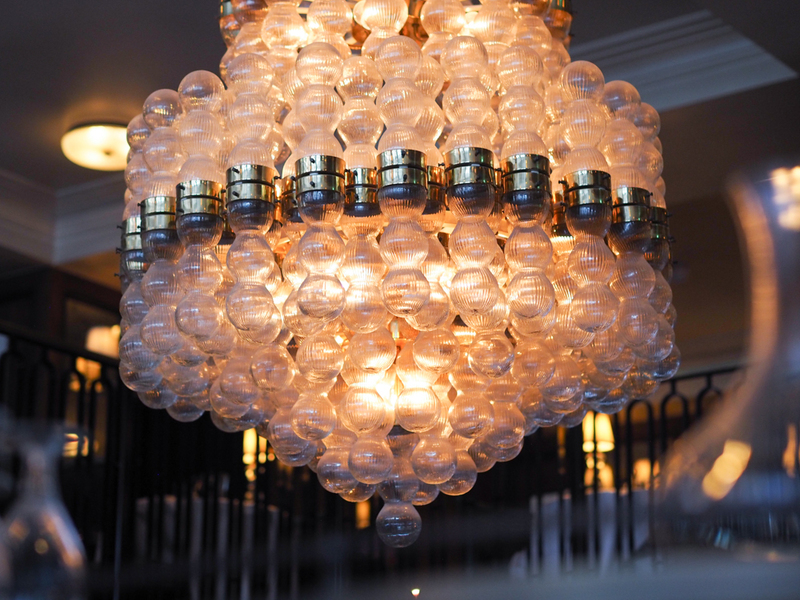 The upmarket brasserie is the latest addition to the ever successful Soho House empire and takes its inspiration from the original Cafe Monico established in 1877 nearby. Stepping inside Cafe Monico is like travelling back in time, lots of clean cut stained glass, brass and a stunning chandelier hanging above the bar. Jazz plays through the well hidden speakers creating the sort of buzz you come to expect with a Soho House establishment. 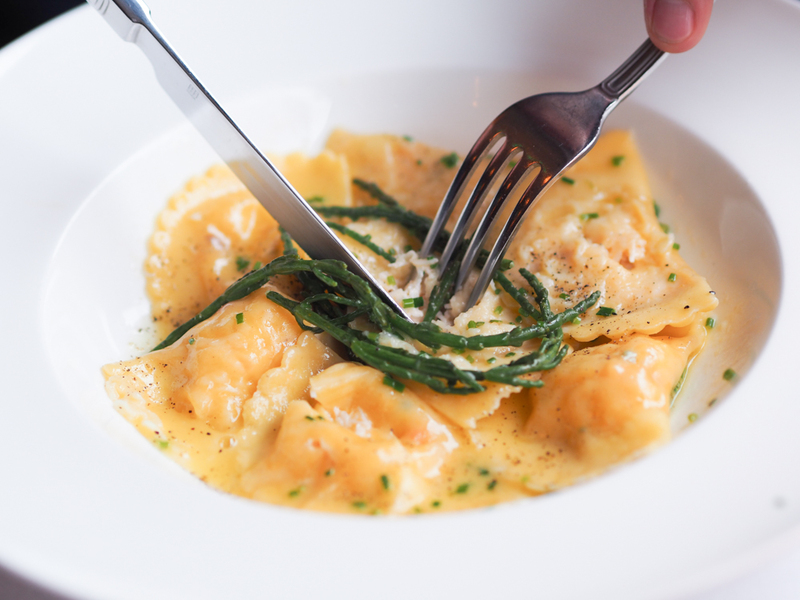 The menu is extensive without being overbearing, featuring fresh shellfish, homemade pastas, grilled meats and small plates that are perfect for sharing pre-theatre show. Having walked from Oxford Street we had worked up a quite a thirst, I went for a fresh Sicilian lemonade and Josie went decided on a strawberry mojito, which I am told was quite punch but that can only be a good thing right?! 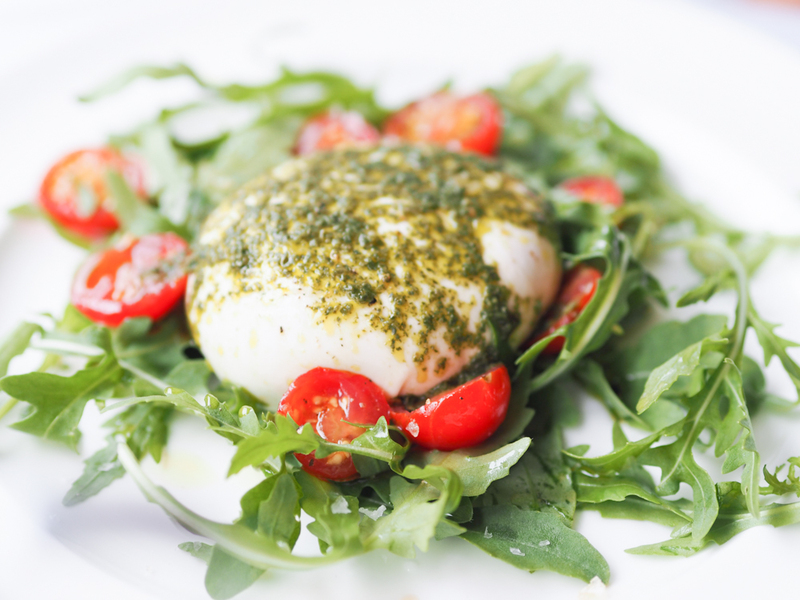 To start we decided to share the burrata with cherry tomatoes and rocket and the salmon carpaccio, with fresh chilli. The burrata was simple but creamy and melt in the mouth, perfectly complimented by the sweetness of the cherry tomatoes. 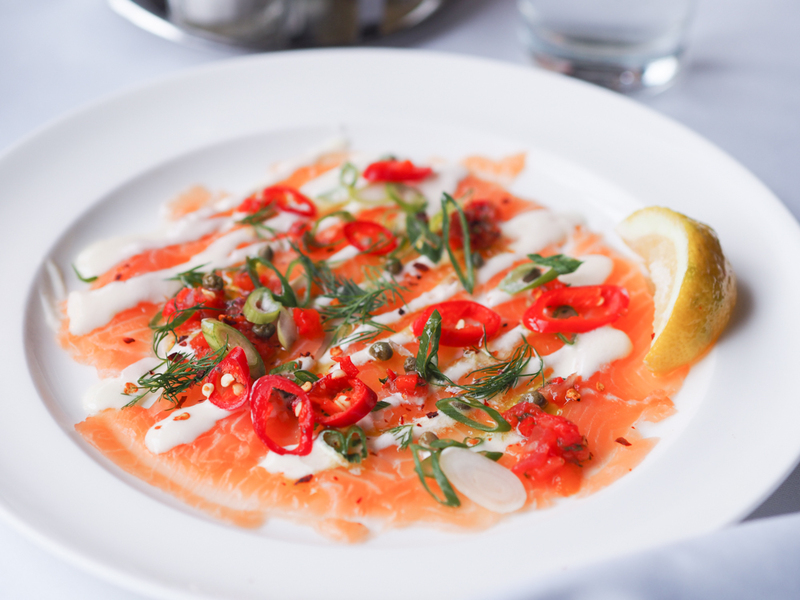 The salmon carpaccio was light and tasty, with slight yet pleasant heat from the chilli. For the main course it was a serious challenge deciding on what to go for with so many delicious dishes on offer from moules frites to scallops risotto, but after much deliberation Josie decided on the lamb rump with salsa verde and I went for the crab ravioli with samphire – which would prove to be a great decision on both fronts. The lamb rump was cooked perfectly and must have been to Josie’s liking as she quickly cleared her plate, a rarity thats for sure! The crab ravioli was also stunning, the crab was juicy and pasta some of the freshest I have eaten in London in a long time. When it came to the dessert menu, the best was definitely saved until last. Once again after much discussion (!!) 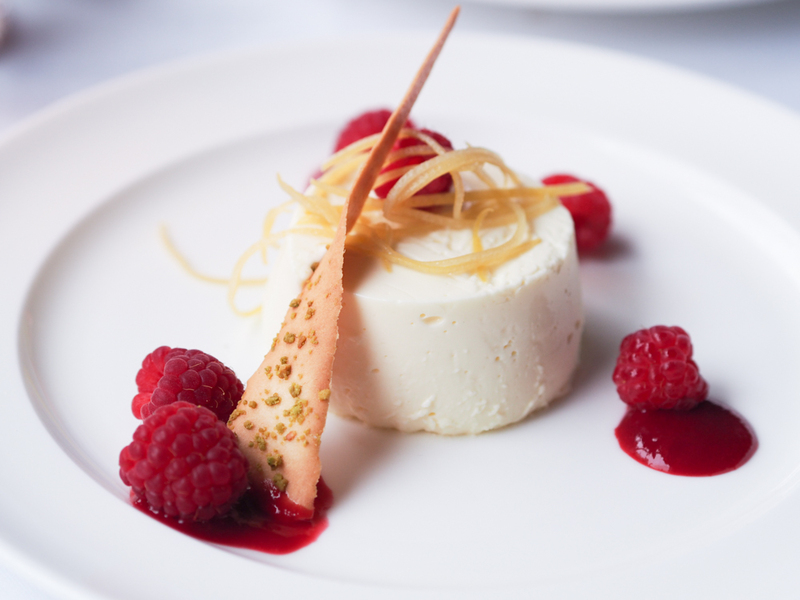 we settled on the lemon pannacotta with raspberries and the pistachio dacquoise, which is similar to a cheesecake, served with a strawberry sorbet. Both desserts were an absolute triumph, the pistachio dacquoise was my favourite dish of the day and its safe to say there was hardly time to take the mandatory Instagram and Snapchat shots before both dishes were gone! 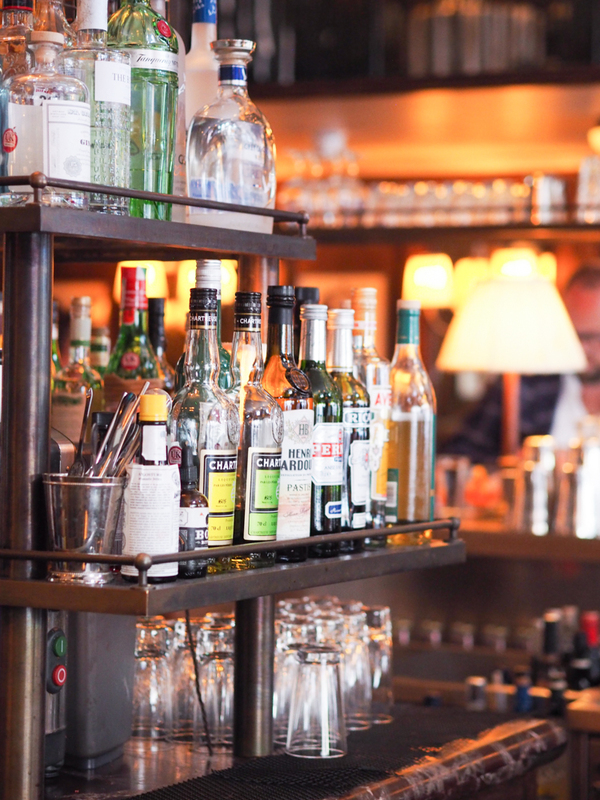 If you are looking for a relaxed and buzzing atmosphere for a lunch or evening meal then Cafe Monico ticks all the boxes and with its location its perfectly placed to satisfy any pre or post theatre hunger. 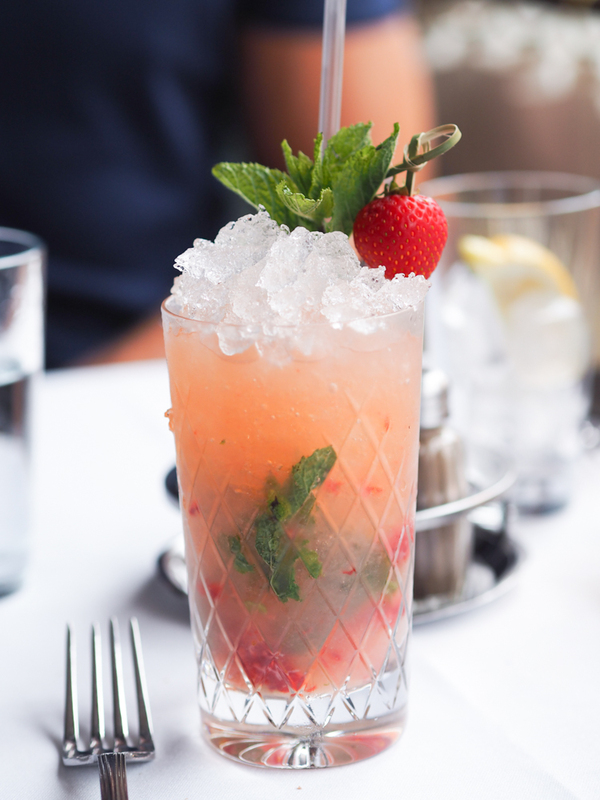 Have you visited a Soho House restaurant before? 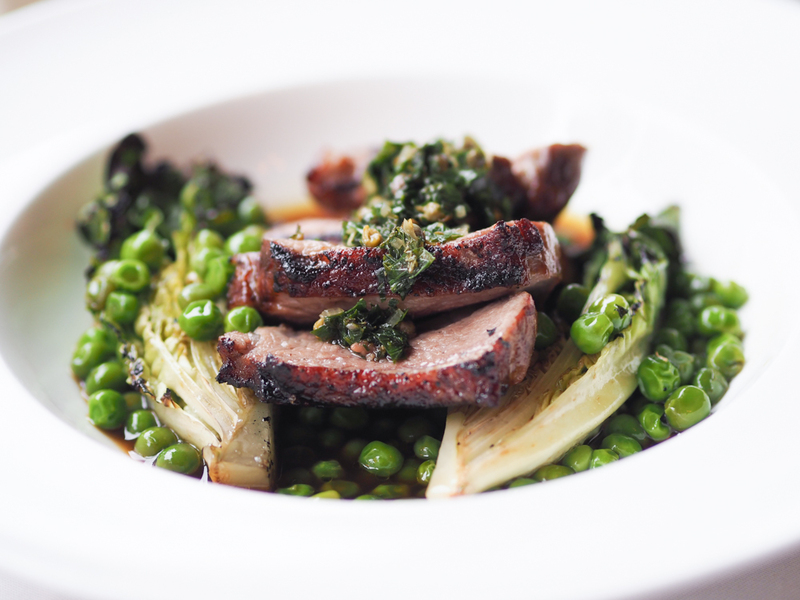 Will you be giving Cafe Monico a go? Next Post Ten Products I Always ‘Steal’ From My Girlfriend! 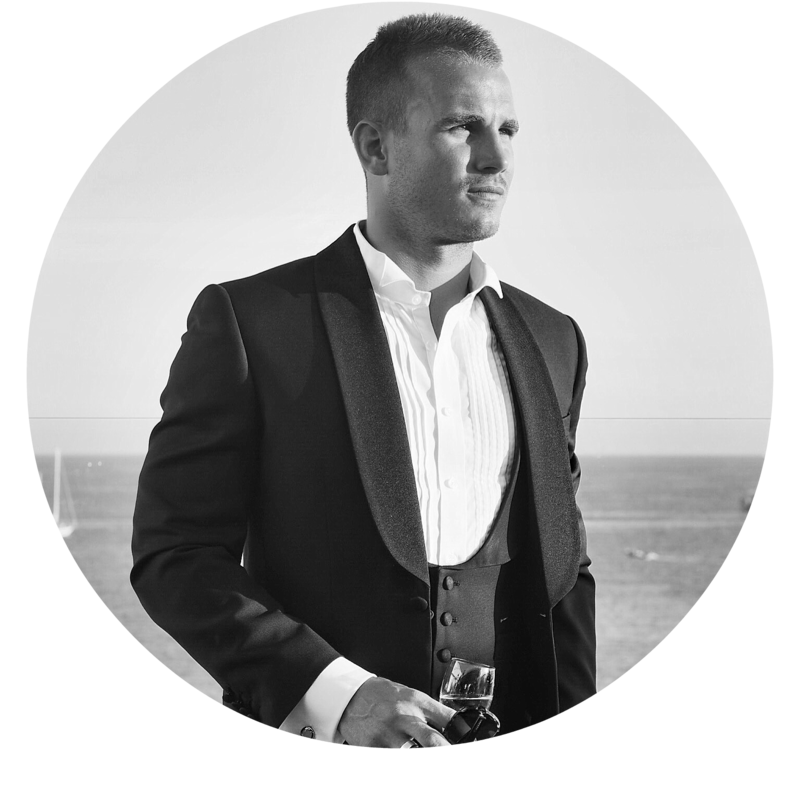 Great review Charlie with beautiful photography … Cafe Monico definitely goes on my list of restaurants to try. Gorgeous photos!!! 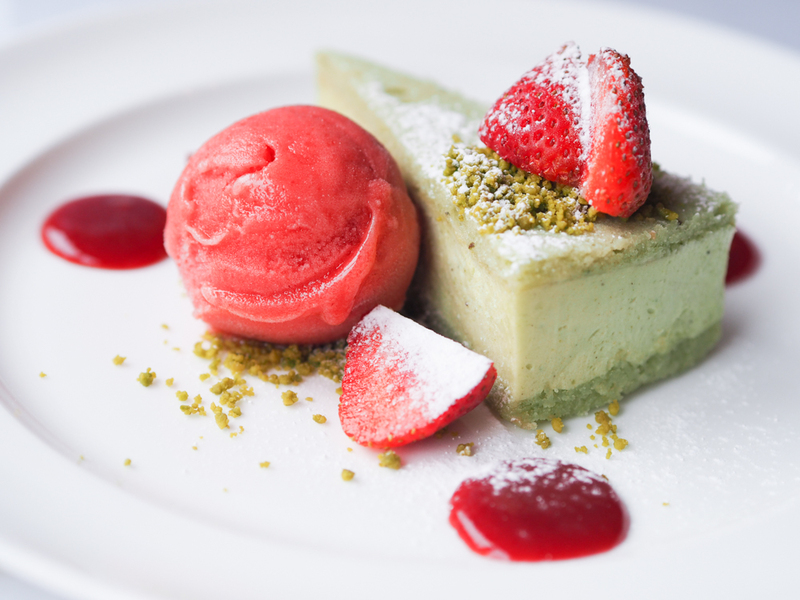 My mouth is watering for the Pistachio desert…..
Wow looks delicious! And such great photos! Great review Charlie. Well done on launching the blog (came here from the Youtube Boots Haul video). Would love to know what camera you are using – the shots are amazing.